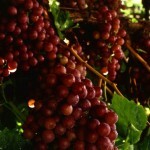 A three-judge appellate panel of the Western Cape High Court in South Africa held that a sublicense of plant breeders’ rights for several seedless grape varieties did not transfer to the licensee ownership of the tangible grape vines resulting from propagation pursuant to the sublicense. Voor-Groenberg Nursery CC v. Colors Fruit Company South Africa (Pty.) Ltd., Case No. A21/12 (Western Cape High Ct. Aug. 23, 2012). In reversing the trial court’s verdict in favor of the sublicensee, the appellate court concluded that the silence of the sublicense agreement regarding ownership of the materials was “a strong factor” indicating that the parties did not intend to transfer ownership. harvested material, including plants, which was obtained through the unauthorised use of propagating material of the relevant variety. 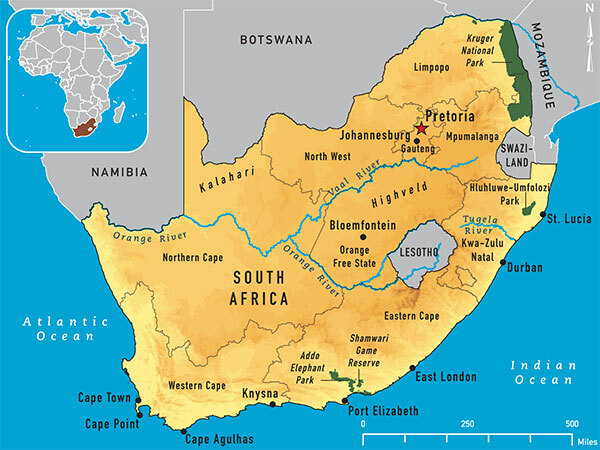 Last year, South Africa’s Department of Agriculture, Forestry, and Fisheries published for public comment a bill to amend the Act. 4 However, to date, the parliament has not enacted the bill. … to obtain from AMC … all propagating samples of all new vegetative material bred and/or developed by Sheehan Genetics and received by AMC from time to time, so that Colors Fruit may (i) test, plant, and cultivate them; (ii) obtain their products; and (iii) secure their statutory protection. 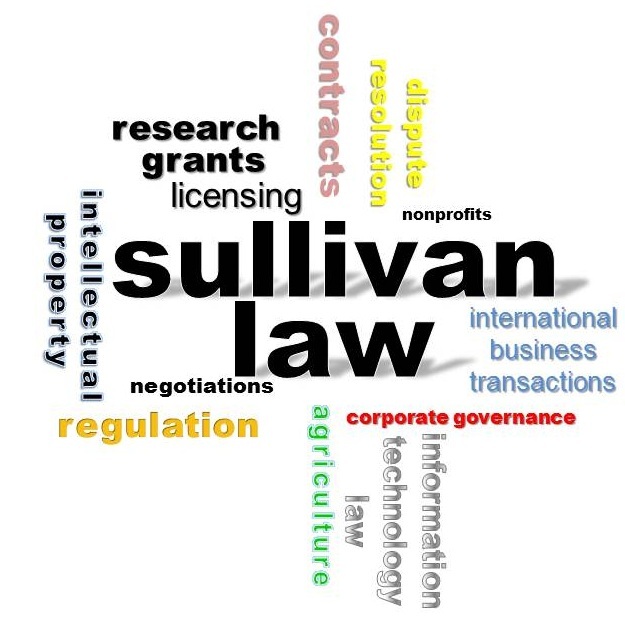 By its terms, the sublicense would terminate automatically upon termination of the “head license” between Sheehan Genetics and AMC. 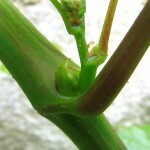 Regent grape vine with bud. Photo courtesy Mark Shirley. SUBLICENSEE’S PROPAGATION OF NEW GRAPEVINES. 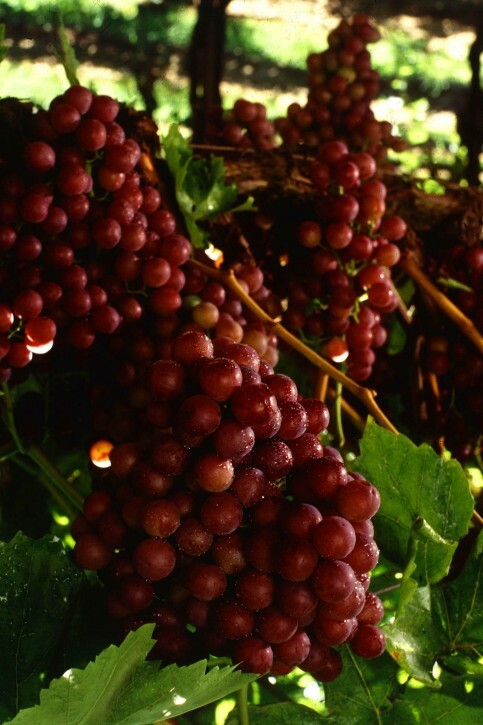 Because Sheehan’s grape varieties are seedless, new grape vines are propagated by grafting buds from existing budstock—short lengths of donor vines containing approximately 10 buds each—onto a healthy vine base, known as a rootstock. In accordance with the head license,Sheehan provided AMC with budstock of its protected varieties. 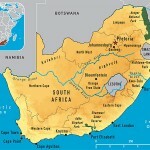 AMC, in turn, sent budstock samples to Colors in South Africa. Colors engaged a nursery known as Voor-Groenberg to propagate and multiply the materials received from AMC. Colors and Voor-Groenberg agreed that after the propagation process was completed, Colors would sell the resulting buds to Voor-Groenberg, which would graft the buds onto its own rootstock and sell the resulting vines to farmers. Voor-Groenberg would pay Colors a royalty of R1.00 for each vine it sold. THE PARTIES’ DISPUTE. In 2011, AMC purported to terminate both the head license it had with Sheehan Genetics and the sublicense it had with Colors. Colors sued Sheehan Genetics, Voor-Groenberg, and related parties in the Western Cape High Court. Early in the court proceedings, Colors took the position that AMC’s purported termination was unjustified and legally null and void. Colors eventually dropped this argument but maintained that it was the owner of all of the Sheehan Genetics tangible plant material in Voor-Groenberg’s possession, and thus Colors had the right to dispose of that material as it pleased. Colors based its argument for ownership of the material on the fact that the sublicense from AMC did not explicitly reserve ownership of the material, and on Section 23(6) of the Plant Breeders’ Rights Act. There was no dispute that, at least initially, Sheehan Genetics owned the budwood, and Voor-Groenberg owned the original rootstock. The legal question was whether the resulting new vines had become the property of Colors. The trial court, finding for Colors, ordered Voor-Groenberg to deliver the materials to Colors. 5 With the support of Sheehan Genetics, Voor-Groenberg then filed an appeal. [T]he industry norms appear to be that ownership of buds and budwood remains with the owner of the plant breeders’ rights, irrespective of whether such vegetative materials are in possession of the licensor, licensee, or a sublicensee. Ownership of the vegetative materials, in my experience, does not pass to licensee or a sublicensee when such materials leave the hands of the licensor. The court first opined that Section 23(6) of the Act was inapplicable, because it “refers to persons who perform certain infringing acts without a license obtained from the plant breeder.” Because Colors obtained the propagating material “pursuant to a valid license,” it could not invoke Section 23(6). Second, the court observed that the statutory provision “provides a defense–not a cause of action,” and concluded that it “is meant to be utilised as a shield, not as a sword.” For these reasons, the court held that Section 23(6) could not serve as a basis to compel another party, such as Voor-Groenberg, to transfer possession of plant materials to one claiming to own the materials. by Shawn N. Sullivan, Sept. 24, 2012. This entry was posted in Agricultural Law, Commercial Law, Intellectual Property Law. Bookmark the permalink.